The Bihar Regiment is an infantry regiment of the Indian Army. The regiment can trace its origins back to the British Indian Army. The Bihar Regiment was formed in 1941 by regularising the 11th (Territorial) Battalion, 19th Hyderabad Regiment, and raising new battalions. The Bihar Regimental Centre (BRC) is located at Danapur Cantonment, the second oldest cantonment of India. Patna is the capital and largest city of the state of Bihar in India. Patna is the second-largest city in Eastern India after Kolkata.It had an estimated city population of 1.68 million in 2011, making it the 19th largest city in India. With over 2 million people, its urban agglomeration is the 18th largest in India. Patna also serves as the seat of Patna High Court. The Indian Rebellion of 1857 was a major, but ultimately unsuccessful, uprising in India in 1857–58 against the rule of the British East India Company, which functioned as a sovereign power on behalf of the British Crown. The rebellion began on 10 May 1857 in the form of a mutiny of sepoys of the Company's army in the garrison town of Meerut, 40 miles northeast of Delhi. It then erupted into other mutinies and civilian rebellions chiefly in the upper Gangetic plain and central India, though incidents of revolt also occurred farther north and east. The rebellion posed a considerable threat to British power in that region, and was contained only with the rebels' defeat in Gwalior on 20 June 1858. 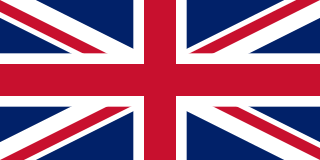 On 1 November 1858, the British granted amnesty to all rebels not involved in murder, though they did not declare the hostilities formally to have ended until 8 July 1859. The rebellion is known by many names, including the Sepoy Mutiny, the Indian Mutiny, the Great Rebellion, the Revolt of 1857, the Indian Insurrection, and the First War of Independence. The Bihar Regiment was formed in 1941 during World War II by regularising the 11th (Territorial) Battalion, 19th Hyderabad Regiment as the 1st Battalion Bihar Regiment. The 2nd Battalion was raised in 1942. The 19th Hyderabad Regiment was an infantry regiment of the British Indian Army. It was formed at the time of reforms of the Indian Army after the First World War, when it moved from single-battalion regiments to multi-battalion regiments. 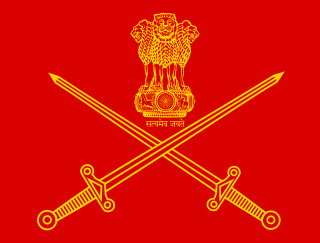 The regiment saw service during the Second World War, and after Operation Polo was incorporated into the Indian Army as the Kumaon Regiment. The newly raised 1 Bihar saw action in the Burma Campaign, winning battle honours for gallant actions at Haka and Gangaw. 2 Bihar formed part of Operation Zipper for the reoccupation of British Malaya. Operation Tiderace was the codename of the British plan to retake Singapore following the Japanese surrender in 1945. The liberation force was led by Lord Louis Mountbatten, Supreme Allied Commander of South East Asia Command. Tiderace was initiated in coordination with Operation Zipper, which involved the liberation of Malaya. Thereafter, both battalions participated in the Indo-Pakistani War of 1947 in the Kashmir Valley during 1948-49. The Kashmir Valley, also known as the Vale of Kashmir, is an intermontane valley in the portion of the Kashmir region administered by India. The valley is bounded on the southwest by the Pir Panjal Range and on the northeast by the main Himalayas range. It is approximately 135 km long and 32 km wide, and drained by the Jhelum River. During the Indo-Pakistani War of 1965, 7 Bihar captured Bedori, paving the way for the capture of Haji Pir Pass. In the Spring of 1999, Pakistani soldiers posing as Kashmiri militants crossed the L.O.C. in Kargil and entered Indian territory. Operation Vijay was launched by the Indian Army to flush out the intruders. More than 10,000 soldiers and officers of the Bihar Regiment were deployed to Kargil. [ citation needed ] In a well planned operation in the Batalik sector, soldiers of 1 Bihar, in a fierce fight with the Pakistan Army, captured Point 4268 and Jubar Ridge in Kuker Thang area in the Batalik sector on the night 06/7 July 1999. Units of the regiment have also served in UN Peacekeeping operations in Somalia (UNOSOM) and the Democratic Republic of Congo (MONUC). The regiment gets its recruits from the Indian state of Bihar, Jharkhand, Odisha, Gujarat and Maharashtra. During early days it recruited soldiers mainly from Bhumihar and Rajput caste from the then Bihar. The Jammu and Kashmir Rifles is an infantry regiment of the Indian Army. Its origins lay in the Jammu and Kashmir State Forces of the princely state of Jammu and Kashmir. After the accession of the state to the Indian Union in October 1947, the State Forces came under the command of the Indian Army. They remained in the original form until 1956 when Jammu and Kashmir Constituent Assembly effectively ratified the state's accession to India. Then the State Forces became the Jammu and Kashmir Regiment of the Indian Army. In 1963, the designation was changed to Jammu and Kashmir Rifles. After the conversion, the Ladakh Scouts came under the aegis of the Regiment, where it remained until raised as a separate Regiment in 2002. 11th Gorkha Rifles, abbreviated as "11 GR", is an infantry regiment of the Indian Army comprising Gurkha soldiers of Nepalese origin that was re-raised after independence. The regiment consists of primarily the Rais, Limbus and Sunuwar of eastern Nepal – mainly from Taplejung, Panchthar, Sankhuwasabha and Dhankuta districts. It also recruits from Indian Gorkhas and Bhutias from Darjeeling district, West Bengal and Sikkim. Though it is considered to be the youngest of the Gorkha regiments its lineage is as long as those of the 7th Gurkha Rifles and 10th Gurkha Rifles. The Parachute Regiment is an airborne infantry and special forces regiment of the Indian Army. The Punjab Regiment is one of the oldest regiments still in service in the Indian Army, and is the most senior regional infantry regiment. It was formed from the 2nd Punjab Regiment of the British Indian Army in 1947 and has taken part in various battles and wars since, winning numerous honours for the same. 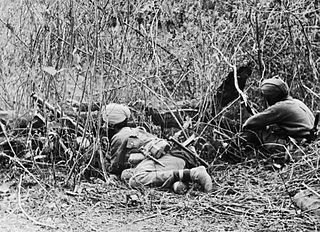 The Battle of Basantar or the Battle of Barapind was one of the vital battles fought as part of the Indo-Pakistani War of 1971 in the western sector of India. The Indian troops won a hard fought battle that secured this area in the Punjab/Jammu sector. The name Battle of Basantar actually encompasses the entire gamut of battles and skirmishes fought in the Shakargarh sector. LOC Kargil is 2003 Indian historical war drama film based on the Kargil War fought between India and Pakistan, produced and directed by J. P. Dutta under his J.P. Films Banner. Featuring a large number of Bollywood stars and music composed by Aadesh Shrivastava and Anu Malik, with the former composing the score and the latter composing the songs. The film recorded as average returns at the box-office. The Frontier Force Regiment is one of six infantry regiments of the Pakistan Army. They are popularly known as the "Piffers" (a reference to the former PIF or as the "FF". The regiment takes its name from the historic North-West Frontier. The Jammu and Kashmir Light Infantry is an infantry regiment of the Indian Army. The regimental center is in Srinagar's Airport Complex at Avantipur with a winter setup near Jammu. Its regimental insignia consists of a pair of crossed rifles. The regiment mostly consists of volunteers from the state of Jammu & Kashmir. 50% of the regiment's troops are Muslims while the rest represent other ethnic groups from the state. The Assam Regiment is an infantry regiment of the Indian Army. The regiment consists of 25 battalions: 15 regular battalions, 3 Rashtriya Rifles battalions, 5 Territorial Army infantry and ecological battalions and 2 battalions of Arunachal Scouts. It recruits exclusively from all the Seven Sister States of northeast India. The 9th Gorkha Rifles is a Gorkha regiment of the Indian Army comprising Gurkha soldiers of Nepalese origin. The regiment was initially formed by the British in 1817, and was one of the Gurkha regiments transferred to the Indian Army after independence as part of the tripartite agreement in 1947. This Gorkha regiment mainly recruits soldiers who come from the Chhetri (Kshatriya) and Thakuri clans of Nepal. Domiciled Indian Gorkhas are also taken, and they form about 20 percent of the regiment's total strength. The 9 Gorkha Rifles is one of the seven Gorkha regiments of the Indian Army. The other regiments are 1 GR, 3 GR, 4 GR, 5 GR (FF), 8 GR and 11 GR. Major Rajesh Singh Adhikari, MVC, was an Indian Army officer who died during the Kargil War. He was posthumously awarded the second highest Indian military honour, the Maha Vir Chakra for bravery on the battlefield. Major Mariappan Saravanan, was an officer in the prestigious Bihar Regiment of the Indian Army who was killed during the Kargil War. He was killed in hand-to-hand combat with intruders after killing four intruders in the Batalik area of Kargil Sector on 29 May 1999, along with 33 soldiers and four other officers. Saravanan had just completed four years of service on 10 March 1999. The Battle of Chamb, 1971 was a battle in the Indo-Pakistani War of 1971. The Pakistani Army invaded Chamb on the same principle as the Battle of Chamb (1965). The Pakistan Army's primary objective was to capture the town of Chamb and surrounding areas which had strategic importance for both Pakistan and India. Previously, in 1965, the Pakistani Army was able to reach further beyond Chamb and was threatening Akhnur, a vital medium-sized town. India had captured Hajipir pass and made substantial progress in the Hajipir pass area in 1965, a key strategic location which the Pakistani Army had captured at the end of the 1947-48 Kashmir War. The Hajipir pass connects Uri and Poonch. Pakistan regained possession of the Hajipir pass during Tashkant agreement, an area the country still controls today. The Ladakh Scouts is an infantry regiment of the Indian Army, nicknamed the "Snow Warriors" or "Snow Tigers". Specializing in mountain warfare, the regiment's primary role is to guard India's borders in the high altitude areas of the Ladakh region, as well as Jammu & Kashmir in general. ↑ "The Bihar Regiment". Bharat Rakshak. Archived from the original on 20 February 2014. Retrieved 2 August 2014. ↑ "104 recruits inducted into Bihar Regiment". The Times of India. TNN. 24 January 2018. Retrieved 1 February 2018. ↑ "Bihar Regiment". Infantry. Official Website of Indian Army. Archived from the original on 16 December 2010. Retrieved 11 November 2018. ↑ Ernst, Waltraud; Pati, Biswamoy, eds. (28 November 2007). India's Princely States: People, Princes and Colonialism. Routledge. p. 57. ISBN 978-0-415-41541-5 . Retrieved 28 August 2016. ↑ John Pike. "Bihar Regiment" . Retrieved 26 November 2014. 1 2 3 4 Singh, Sarbans (1993). 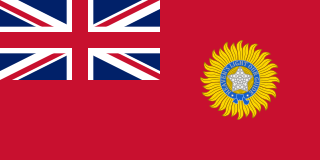 Battle Honours of the Indian Army 1757 - 1971. New Delhi: Vision Books. p. 328. ISBN 8170941156. 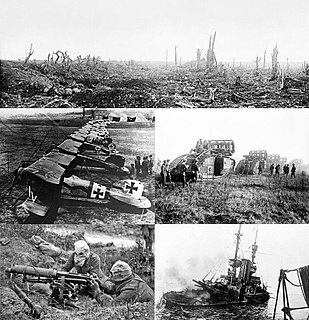 1 2 "History of the Regiment". Official Website of the Indian Army. Retrieved 19 September 2018. ↑ Staff Reporter (9 April 2010). "Surrendered ultras get training certificates". The Assam Tribune . Archived from the original on 8 April 2014. Retrieved 28 August 2016. ↑ "Vir Chakra (VrC), Awardee: Maj Harpal Singh Grewal, VrC @ TWDI". twdi.in. Retrieved 2016-11-21. ↑ "Vir Chakra (VrC), Awardee: PA Nk Ghama Oraon, VrC @ TWDI". www.twdi.in. Retrieved 2016-11-21. ↑ "Lt Col Shanti Swarup Rana". Indian Martyr. Archived from the original on 2012-01-09. Retrieved 2011-12-29.